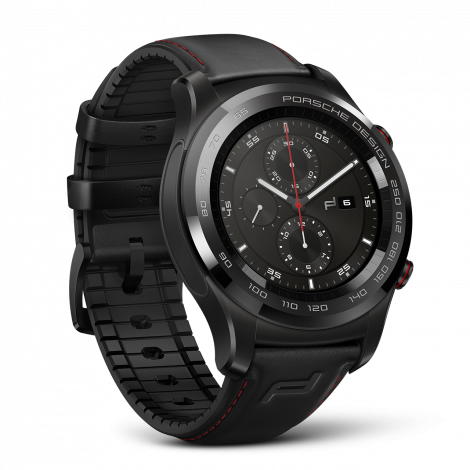 The Porsche Design variant of the Huawei Watch 2, which was made official back in February at this year’s Mobile World Congress (MWC), has now been launched. Carrying a €795 ($925) price tag, the watch is currently available for purchase in Europe (including the UK). There’s no information on if and when the wearable device will be made available in the United States, and what price tag it will carry there. For those who aren’t aware, the Huawei Watch 2 Porsche Design only differs from the standard variant in terms of looks – there’s a tachymeter bezel, strap with red stitching, and Porsche Design-created watchfaces.